In June 2011 it was reported that RiTDisplay is collaborating with IGNIS on AMOLED panel production on a-Si backplanes. That project never took off, though. The company is now developing flexible PMOLEDs. In August 2016 we reported that PMOLED-producer RiTdisplay sees growth ahead in the PMOLED market with plans to increase capacity - and today Digitimes states that RiTdisplay has indeed increased its capacity by 20% in 2016 (to 18,000 monthly substrates, up from 15,000). The company aims to increase production by a further 40% (to 25,200 monthly substrates) by the end of 2017. Earlier reports suggested that the capacity increase will come from more efficient production ("deleting bottlenecks") - not from new equipment. RitDisplay's president and CEO, D.C. Wang, sees growth ahead in the PMOLED market. RitDisplay expects revenues to grow more than 20% in the second half of 2016, up from almost $32 in the first half. In order to meet the expected demand (mostly from wearable devices, it seems), RiTDisplays aims to grow its capacity by 20 to 40 percent in 2017. Earlier reports suggested that the capacity increase will come from more efficient production ("deleting bottlenecks") - not from new equipment. A few days ago we posted that Taiwan's RiTDisplay, one of the world's leading PMOLED makers, is seeing strong demand for its OLED displays, expanding its production by 20% and filing for an IPO in Taiwan. Following that story, Digitimes now posts a story on RiTDisplay, quoting its president that says that PMOLED panels are replacing STN-LCD panels in small sizes - even though PMOLEDs are more expensive (by about 50%) than LCDs. 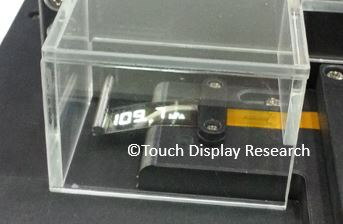 Taiwan's RiTDisplay, one of the world's leading PMOLED makers, is reportedly seeing strong demand for its OLED displays. According to a new report, the company's revenue reached $31.2 million in the first half of 2016, up 40% over the first half of 2015. The company is also enjoying higher profits - and in fact the profit in the first half of 2016 may pass the profit from the whole year 2015. PMOLED is seeing a rising demand in wearable devices - and other emerging applications. According to Touch Display Research, RiT Display aims to start mass producing flexible PMOLEDs by the end of 2015. 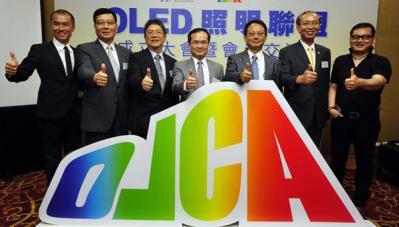 The OLED Lighting Commercialization Alliance (OLCA) was formed a few days ago in Taiwan, with an aim to make Taiwan an important OLED lighting player. The alliance will promote OLED technologies and will include members from materials suppliers to product makers. The OLCA seems to be led by Taiwan's ITRI. Other members include Merck, RiT Display, WiseChip, Corning, Tongtai Machine & Tool and the TLFEA (Taiwan Lighting Fixture Export Association). ITRI says that more than 60 companies have shown interest in collaborating with OLCA members. Back in December 2012, rumors started to circulate about an upcoming Apple smartwatch called the iWatch. First we heard reports that it will use a small PMOLED, and later rumors suggseted Apple decided to use a plastic flexible OLED. Today the Korea Herald claims that LG Display is very close to striking a deal with Apple to supply flexible OLEDs for the iWatch. Korea Herald says that it isn't likely for Apple to rely on a single vendor and they suggest that RiTDisplay is a strong candidate as well. But this does not seem likely as the Taiwanese company does not have the technology or capacity to produce flexible AMOLEDs similar to LGD ones. Perhaps if Apple opts for a simpler PMOLED device than RiTDisplay is a possible supplier. They also list Japan Display as a candidate, but this is even less likely. Back in December 2012 we posted a new Apple OLED rumor - about the iWatch: a bluetooth smart watch that has a 1.5" touch PMOLED, apparently made by RitDisplay. In February 2013 the New York Times and the Wall Street Journal both posted about this rumor. Today these rumors resurfaced. This time Taiwan's Economic Times reported that Apple had made some prototypes with a 1.8" PMOLED, but decided they were too large. Now they are testing 1.5" PMOLEDs, and have ordered a thousand units from Foxconn - for internal experimentation.